Hello guys. I created a Discord server for those who might not want to use the FreeBasic IRC anymore due to toxic behavior or for those who might not even know "what the heck an IRC is?" I frequently use the IRC on almost a daily basis but many do not and although it was a great medium of communication back in ye olden days it's just not the same by today's standards. Discord is a great modern medium of communication and it's highly appealing to programmers. 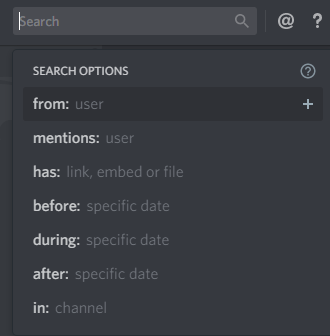 There are many great features Discord can offer us as programmers. One of which being syntax highlighting for sharing snippets of code in almost any programming language. and in addition to that there can be multiple text channels for all the various topics. This keeps the conversations organized. Last edited by Telchaxy on Jun 13, 2018 13:10, edited 1 time in total. It looks like a nice format, a bit like Slack, which I use for work. I’ve not used IRC much, but this looks a lot easier to get into.